Therapy is a journey of not only finding yourself, but of creating the life you want to live. Sometimes life is really hard. Therapy helps. The clients who express enthusiasm for my particular style of practice say they appreciate my diverse experience in life and the fact that I understand what it is to struggle. I flatter myself that I am an "out of the box" thinker who is more concerned to match the treatment to the client and don't employ a 'one size fits all' approach. I have learned many treatment protocols and approaches, and draw from all of them as appropriate. I became a therapist because therapy helped me find my way through the challenges of an interesting life, and I know first hand that therapy can help an individual get through difficult times to create a life worth living. I began my training as a graduate student at Chukyo University in Nagoya, Japan, where I had a particular interest in cross-cultural issues. Following the death of my first husband I returned with our children to my hometown of Portland, and earned an MSW at Portland State University. Since 2002 I have been an outpatient therapist at the Portland VA Medical Center Center, where I have conducted individual, group and couples therapy and helped clients address a wide variety of problems including PTSD, depression, anxiety, and personality disorders. I helped start a DBT program at the VA, which I coordinated until 2015. I have been extensively trained in Cognitive Behavioral Therapy for Insomnia, a front-line treatment that helps people sleep better without medication. In my perfect world, everyone would have access to a setting like the VA, and therapy would be easily accessible without any financial burden. This is why I work with clients to make treatment affordable, including a sliding fee scale for those without insurance and reducing copays where necessary. I believe that none of us has any right to judge others, least of all me, and in all my work it is my commitment to be accepting and supportive of everyone who comes to me. Having lived internationally (I was in Japan for 17 years) I believe I have some understanding of the limitations of culture and language. I am committed to challenging my own limitations of understanding and encourage my clients to challenge me when I fall short. I believe that therapy can help us to be more fully ourselves, to be better as well as happier people, and I know that as a therapist I have gained immeasurably from the privilege of working with my clients. I can't imagine doing anything else. Trauma can be as seemingly minor as an unexpected event that violates our basic sense of who we are and where we belong in the world, or as dramatic as catastrophic events such as combat or mass tragedies. The "what" of the trauma is only a part of the story; increasingly we are beginning to understand how traumatic events affect the brain and leave us stuck in fight-or-flight overdrive. The good news is that, just as stroke victims can learn to use their limbs and regain capabilities, so can trauma survivors exceed their expectations as to what is possible in recovering and living life fully. 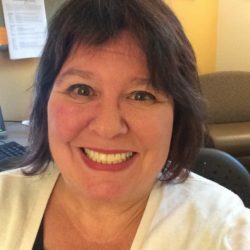 I use a variety of techniques, include Cognitive Behavioral Therapy, skills training, mindfulness, and existential therapy to help traumatized clients reach their goals. Depression is chronic pain: grinding, hopeless agony that is hard to imagine if you haven't experienced it. It makes it difficult to look forward, to remember anything other than pain, and impossibly complex to fully enjoy even the most wondrous of events. It is perpetuated by the belief that the depressed person is exaggerating, 'making it up to get attention', or just needs to pull themselves up by their bootstraps. It is often the outcome of painful experiences that overwhelm the person's coping mechanisms, the lack of positive support in crucial periods of development, or just plain genetic legacy. Whatever the source, depression leaves a person feeling that they have no worth, that there is no hope, and that they don't deserve to get better. The truth is: you can feel better, you deserve to feel better, and you can learn how to create a life worth living. Therapy involves challenging old beliefs, and uncovering the person you have the potential to be. We live in a difficult world, in difficult times. We don't know what lies ahead, and there are no guarantees. We may have experienced traumatic losses or sudden tragedy, and know first hand that terrible things can happen to us, or we may not know why our brains can't stand down and feel the need to prepare for any and all dangers, no matter how unlikely. The good news is that we can learn to let go of some of our worries and enjoy the simple things in life. No matter what we do we can't control everything, but we can learn to let go. Cognitive Behavioral Therapy for Insomnia (CBT-I) is a heavily researched, short-term treatment that is just as effective as sleep medications in the short run and, in the long run, MORE effective - clients continue to experience benefit long after treatment concludes. Treatment addresses the thoughts and the behaviors that interfere with sleep, teaching clients the skills they need to get better quality sleep and get more of it. CBT-I clients work closely with a therapist to develop and refine a plan designed to specifically address their unique sleep problems Education about the biological and psychological processes that regulate sleep is an essential part of the treatment. I have worked with clients who suffered from insomnia for twenty years or more and are now sleeping six or more hours every night.